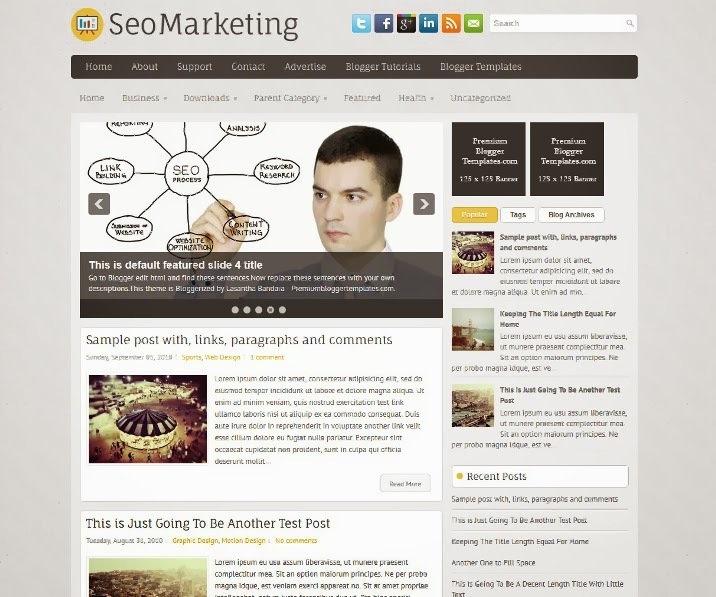 SeoMarketing is a Responsive Blogger Template for SEO Marketing Blogs. SeoMarketing Blogger Template has a jQuery Slider, Dropdown Menus, 2 Columns, 3 Columns Footer,Tabbed Widget, 1 Sidebar, Rounded corners, Slider and Tabbed widget. 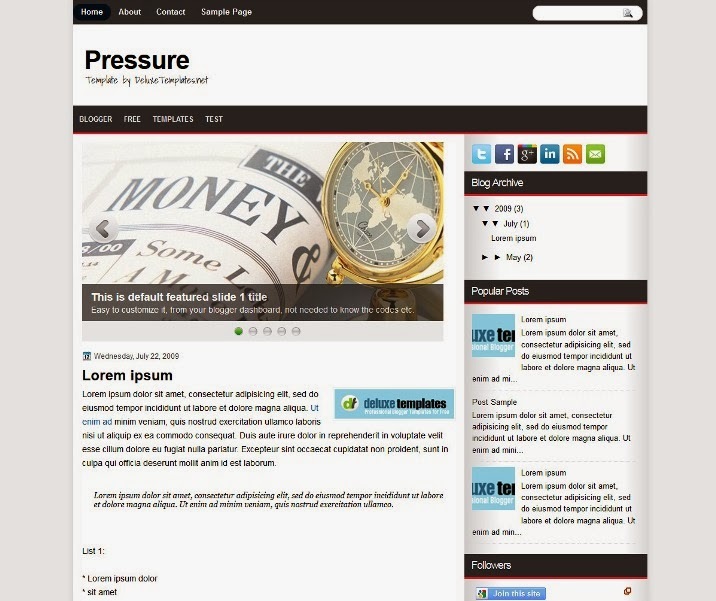 Pressure is a new Blogger template for business related blogs and websites. It has 2 columns and right sidebar and lots of place to put your things. Features: Featured Slider, Ads banners ready and Social icons. 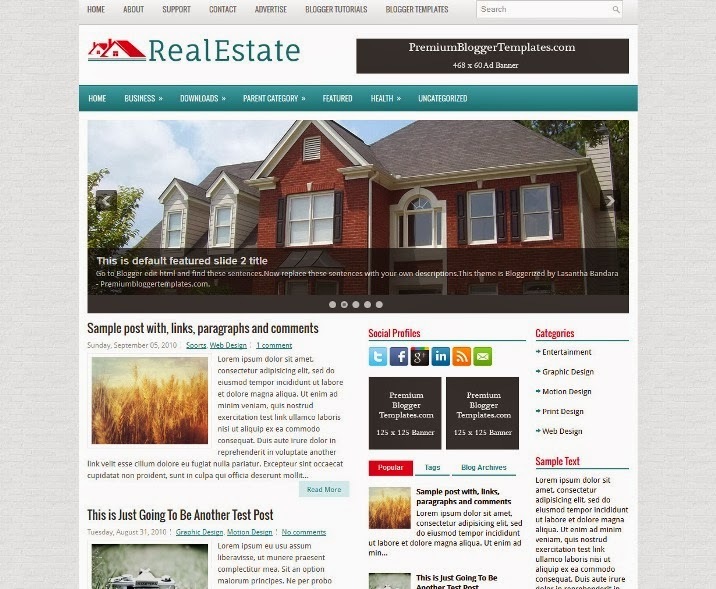 RealEstate is a Responsive Blogger Template for Real Estate Blogs. RealEstate Blogger Template has a 3 Columns, jQuery Slider, Dropdown Menus, 4 Column footer, Featured Section, 468×60 Header Banner, 4 Columns Footer, Adapted from WordPress, Tabbed Widget and More Features. 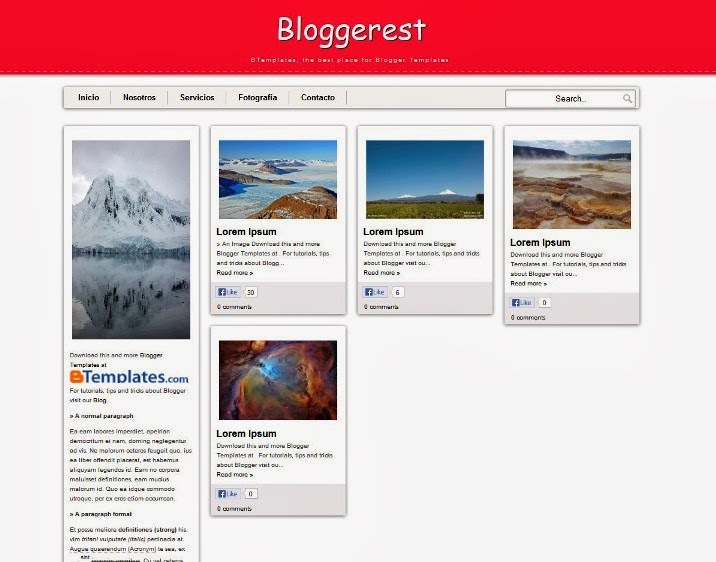 Bloggerest is a free photography blogger template with 2 columns, responsive design, right sidebar, gallery-styled, exclusive design for Blogger, posts thumbnails, drop down menu and well formatted threaded comments. 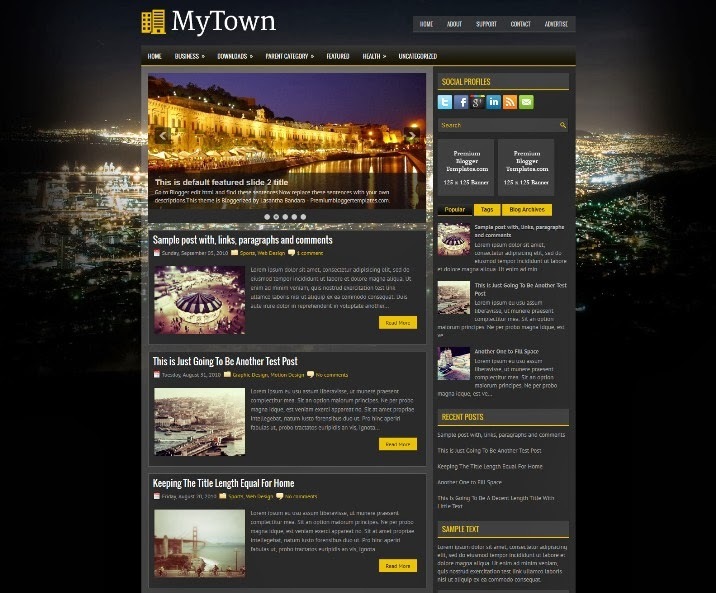 MyTown is a Responsive, 2 Columns, Dark Blogger Template for General Blogs. MyTown Blogger Template has a jQuery Slider, Dropdown Menus, 3 Columns Footer,Tabbed Widget and More Features. Markes is Free Blogger Template for General Blogs with 1 Sidebar, 2 Columns, jQuery Slider, Right Sidebar, Dropdown Menus, Featured Posts content, 4 Columns Footer and more. 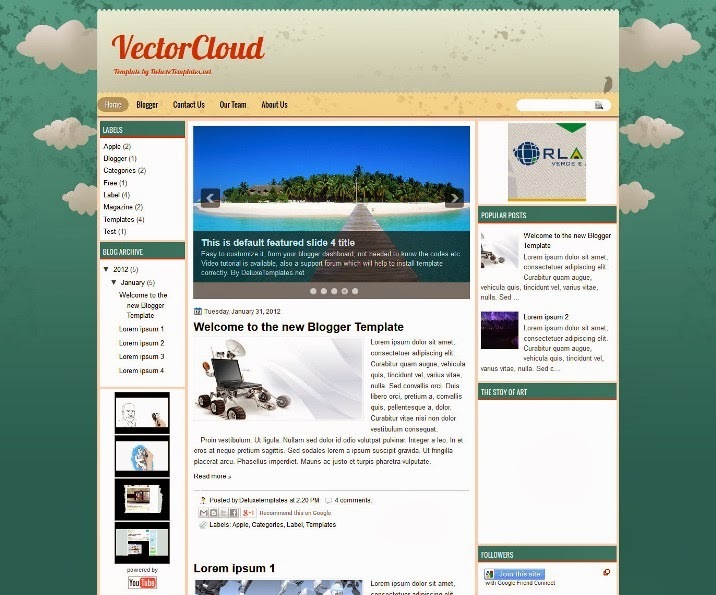 Vector Cloud is Blogger template for personal related sites. This template has 3 columns with left and right sidebars. All this template is a nice combination of green and white colors. Recommended for personal blog. Features: Featured Slider, Social icons, Colors, Popular posts in sidebar with thumbnail, Ads banners ready and more. Secret Magazine is a Free Blogger Template for Magazine with Featured Content Slider, Top 2 Navigation Menus, Social Buttons, Fixed width, Ad Banners, Adapted from WordPress, Right Sidebar, Slider, Top Navigation Bar, Web 2.0, and More Features. 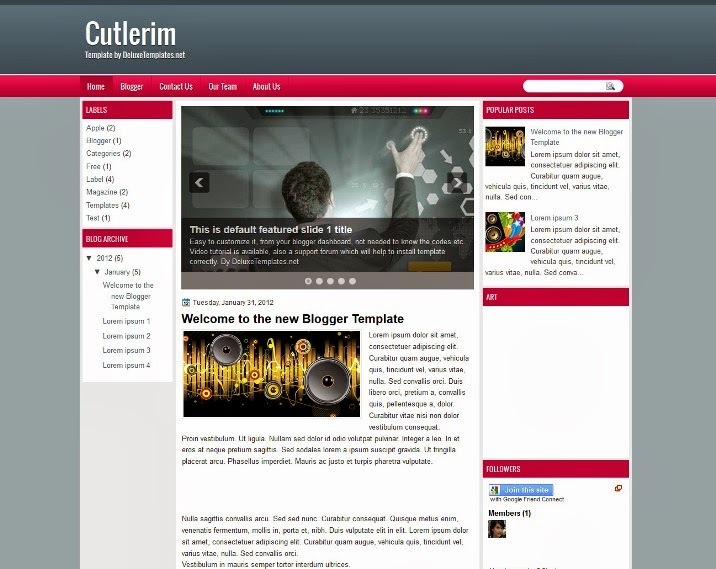 Cutlerim is a 3 columns Blogger template for business or tech related sites. This theme has left and right sidebars. 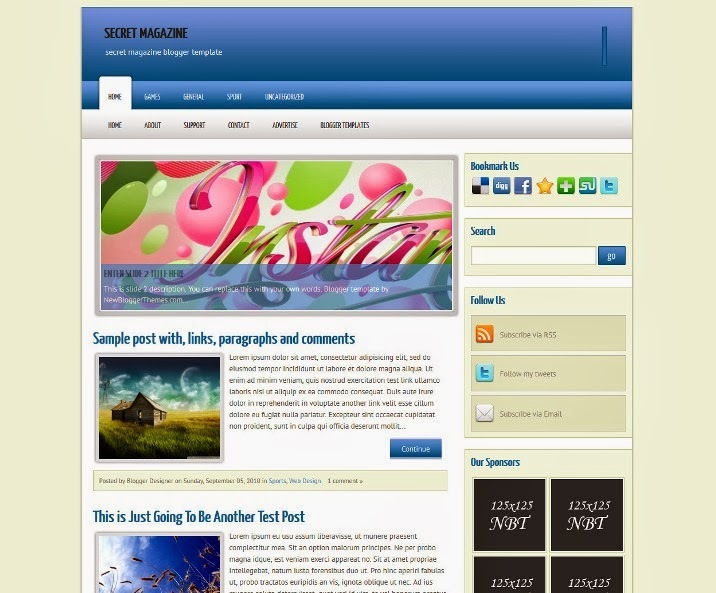 What is special about this theme is the contrast of colors between content and header. 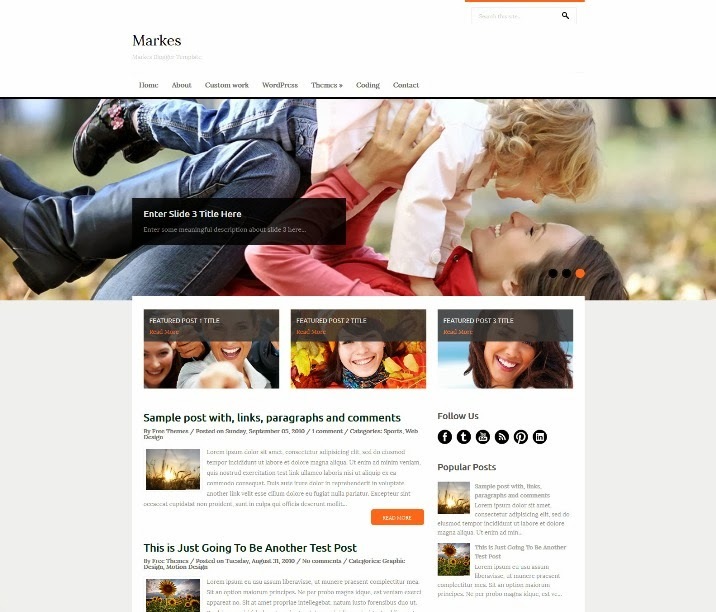 You can use this theme for your personal or business related blog, and all for free.